by Uzmamd.In breast cancer.Leave a Comment on Best in the show! 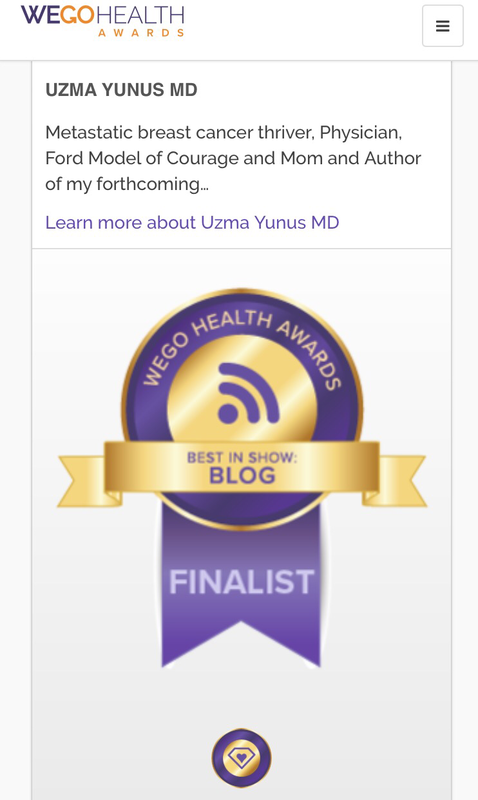 I was nominated and then selected among the top five for Wego Health Awards, 2017. The results will be announced virtually on October 11th.